Place 4 graham cracker halves on a serving plate. Spread 1 tablespoon of peanut butter on the top side of each graham cracker. Top with 4 dollops of whip cream in the center of each covered cracker. 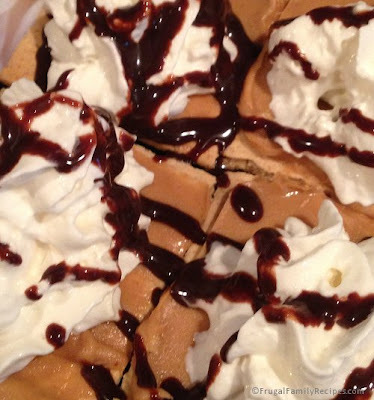 Drizzle chocolate syrup over whipped topping, either individually or all together (see our photo above).